Note: The documents you need to provide can be found under “Follow these steps”. Your relationship with your fiancé (prospective spouse) must meet certain criteria. You must be sponsored by your fiancé. 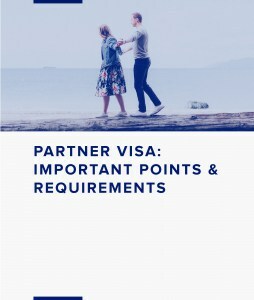 You will also have to pay a fee for your Partner visa (subclass 820 and 801). If you marry your fiancé and lodge your Partner visa application before your Prospective Marriage visa expires, you will pay a reduced fee. If you do not lodge your Partner visa application before your Prospective Marriage visa expires, you will pay a higher fee. The visa lasts 9 months from the date it is granted. It cannot be extended. Sponsors must be the fiancé of the visa applicant.